The United States Interagency Council on Homelessness has released the new federal strategic plan, Home, Together. This plan, based on a year of listening and study across the country, updates the previous plan entitled, Opening Doors. 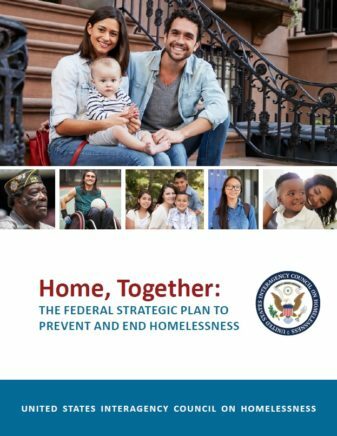 Take a look a this new federal plan that will extend from 2018-2022 here: Home-Together-Federal-Strategic-Plan-to-Prevent-and-End-Homelessness.